Adventure awaits at Girl Scouts of NYPENN Pathways summer camp! Registration is open for ALL girls ages 7-17 for resident camps and girls ages 5-14 for new day camps (must be 5 and entering first grade in fall 2018). One week of co-ed day camp will also be offered. Summer camp offers girls a great way to explore leadership, build skills and develop a deep appreciation for nature—for a day, week or longer. Girls do not need to be registered as Girl Scouts to attend GSNYPENN camps. So, bring a friend! Girl Scout camps give girls an opportunity to grow, explore and have fun in a girl-led environment under the guidance of caring, trained staff. GSNYPENN offers resident and day camps at four picturesque Adventure Centers located across New York. Girls choose from a variety of activities and programming such as hiking, boating, archery, fishing, sailing, primitive and outdoor skills, horseback riding, STEM, aquatics, high adventures, music and performing arts, off-camp trips and more for individual growth and exploration. Summer camp is an ideal place for girls to choose their own adventures, meet and make new friends, learn more about themselves and their abilities, and share the joys of summer with others. Amahami Adventure Center in Deposit, N.Y. Located in the foothills of the Catskill Mountains on a small private lake, Amahami offers campers the opportunity to expand their knowledge, confidence and comfort in nature through an immersive outdoor experience. The property features miles upon miles of hiking trails, including a fire tower. Campers may spend the week sleeping in a troop house, cabin or platform tent. Comstock Adventure Center in Ithaca, N.Y. 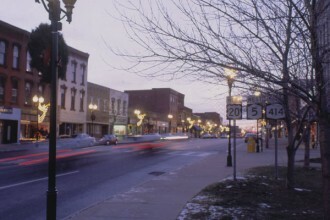 Located along the shores of Cayuga Lake, Comstock features nearly two miles of lakefront. 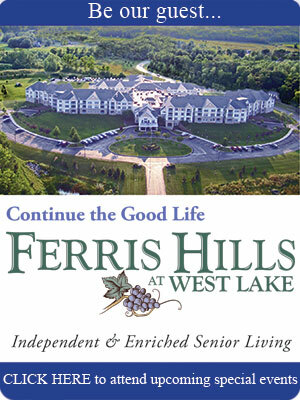 The property offers a wide variety of water sports and a beautiful location created by the unique natural surroundings of the Finger Lakes. Campers reside in beautiful tree-top cabin village units. Comstock’s proximity to a variety of popular local destinations allows for many off-camp experiences. Trefoil Adventure Center in Harrisville, N.Y. Located on the outskirts of Adirondack Park, Trefoil features the Council’s only high and low ropes course. Campers have the ultimate high adventure and wilderness experience while spending time in an intimate, outdoorsy setting. Trefoil is a great location for any camper looking to explore the outdoors. Most campers spend their week sleeping in a-frame units or the camp’s “famous” yurt. Hoover Adventure Center in Tully, N.Y. 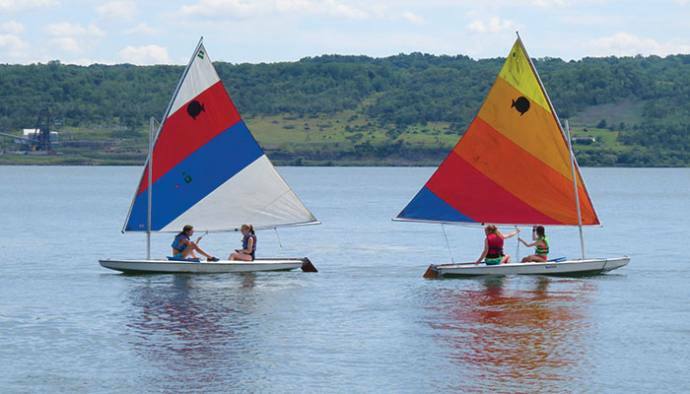 Located in the heart of Central New York along the shores of Song Lake, Hoover offers the perfect opportunity for younger campers looking to explore all that summer camp has to offer. Hoover’s unique setting and ample field space allow for a variety of fun summer activities like field games, sports and archery. Campers can also explore hiking trails on site. Hoover features rustic cabin and platform tent units for campers who choose to challenge themselves with an add-on overnight experience. Round-trip busing for day camp is available for an additional fee from locations in Syracuse, Camillus, Dewitt, Whitney Point and Cortland. Girl Scout Research Institute studies show that when Girl Scouts get outside, they discover they can better solve problems and overcome challenges; develop leadership skills, build social bonds and are happier overall; and become team players and care more about protecting the environment. Girl Scouts and the outdoors go together like a campfire and s’mores. From hiking tough trails to spending action-packed summers at camp, endless opportunities for girl-led outdoor adventures await every G.I.R.L. (Go-getter, Innovator, Risk-taker, Leader)™. Register now for summer adventures! More information—including all available camp programs, dates, sessions, activities, fees and registration—is available at gsnypenn.org/summercamp.